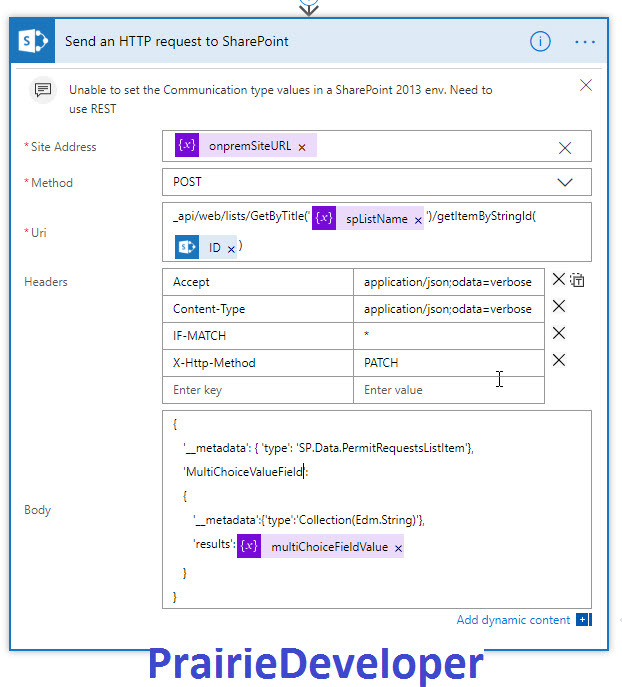 So I had a client request the other day to build a flow that would update an on-prem list with items from a SharePoint Online list. There were some other requirements not pertinent to this post, but basically a pretty straight-forward process. 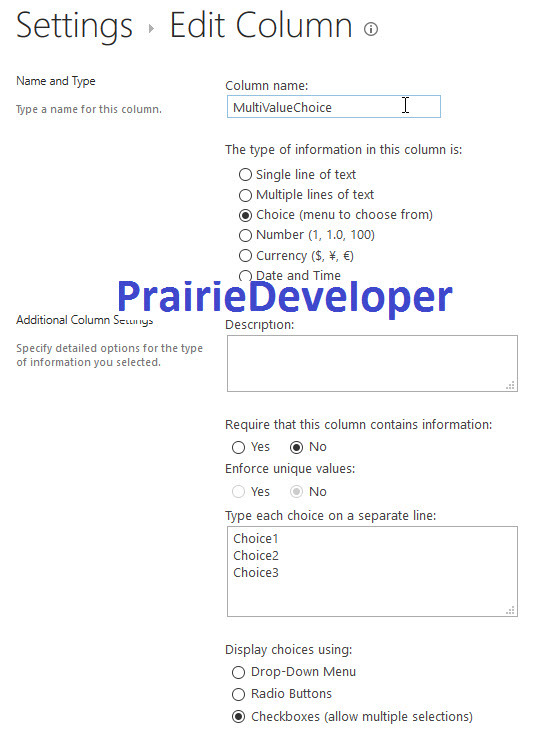 That was until I got to the multi-value choice field and realized I didn’t have the option to insert the value into my “Insert an item” action in Microsoft Flow. So after reaching out for confirmation that it didn’t work with the version of SharePoint my client was using (SP2013) I received a suggestion from Rob to utilize REST to do it. Important note: you can’t do this during the insert. It has to be done after the item has been created (unless you want to build the entire item with REST which I didn’t). “substring(variables(‘multiChoiceFieldValue’),0,sub(length(variables(‘multiChoiceFieldValue’)),1))” This formula is creating a substring of the array we built and removing the final character (the comma in this case). The final thing we need to do is close up the variable with a closing bracket ‘]’. The final step is to update the item you just created. To do so you need to utilize the Patch Method. When you added the new item, SharePoint returns the ID of the item. You can then use this ID to update the item in question. And that’s it. You can now update a multi-value choice from a Flow. Nice work and well documented for the rest of us.